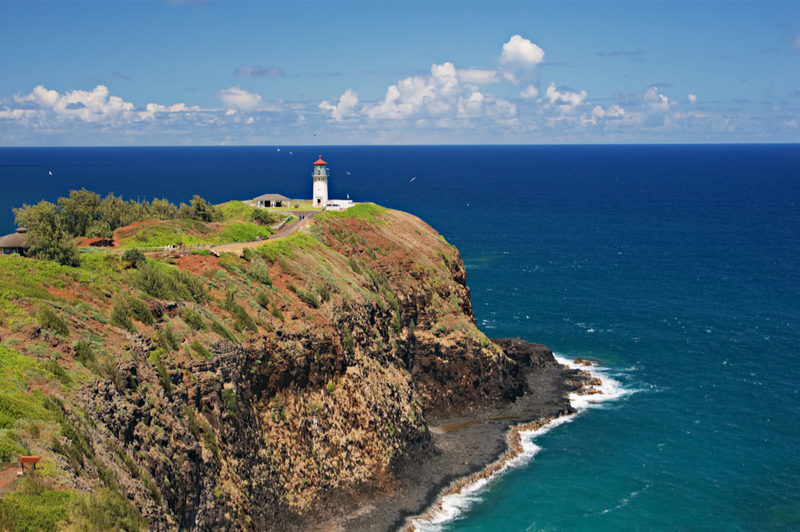 There are a thousand reasons why you might be drawn toward Hawaii as a vacation spot. The beaches are beautiful, the sightseeing opportunities are plentiful, and the lush, fragrant beauty of the islands make it one of the most relaxing destinations on earth. Royal Holiday Destinations can help you take that magical trip to the volcanic islands of Hawaii! There’s so much of Hawaii to explore: Because of this, it can be hard to set a comprehensive itinerary for visiting the islands. With three top-tier vacation properties based in Hawaii, Royal Holiday will make certain that your stay is comfortable, memorable, and full of adventure. Here are a few of the wonderful travel destinations offered by Royal Holiday across the gorgeous Hawaiian Islands. Off the northern coast of Kauai is a personal paradise for travelers in the form of Mauna Kai, a Royal Holiday resort property that takes full advantage of Kauai’s lush reputation as the “Garden Isle”. The cliffs of Kauai overlook the sea, reaping the benefits of this proximity by blooming with a lush green and red coating of foliage all year round. Mauna Kai in Princeville, Kauai, is full of rich history, having started out as a sugar plantation in the 1860s that was honored by a visit from the famous Queen Emma’s son Prince Albert Kamehameha and named after him as a result. That sense of history can be found all around Princeville, from the Queens Bath on Kapiolani Road, a geological formation carved into the size of a pool, to the thrilling Keoneloa or “Shipwrecks” beach, named for the wooden remains of a destroyed ship that have since been washed away with the tide. There’s also the aptly-named “Hideaways” beach, a hidden enclave where visitors can enjoy the splendor of the sun and sand in an atmosphere of blissful privacy. And if you’re looking venture deeper out into the blue, there are ample opportunities for deep sea diving adventures and boating trips. And if you want to plan some whale sighting on your trip, be certain to book during their peak season between February and May. For travelers who want to spend more time on land than on sea, there’s no shortage of options for hiking, golfing, and destination-hopping in Princeville. The Princeville Botanical Gardens offer extensive informational tours about the many different kinds of flora native to the region, punctuated by a chocolate-tasting break. If you’re looking for a more arduous hike, visit the park Mark Twain memorialized as the “Grand Canyon of the Pacific”. Waimea Canyon offers a breathtaking view for hikers young and old, and a rich sense of nature’s wonders on the Island. If you’re looking for a more family-oriented experience with nonstop activity and adventure, the Royal Holiday’s Cliffs Club property offers a action-packed possibilities in the midst of a gorgeous luxury setting. Guests at the Cliffs Club will be aptly situated for engaging in sports such as volleyball, badminton, basketball, tennis, and golf, as well as a children’s playground and all-age swimming pool. For those looking to indulge in a relaxed yet vigorous experience of Hawaii, the Cliffs Club offers everything in one place. Each suite is outfitted luxuriously with a full kitchen, two baths, and a private bedroom for maximum relaxation, and each room of the Cliffs Club provides a spectacular view overlooking the Pacific Ocean. For a dramatic, yet homey experience of the Island, the Cliffs Club is the perfect choice. Located in the city of Kona on the “big island” of Hawaii, Royal Holiday’s Kona Coast Resort is the perfect location for visitors who want to be in the center of it all. King Kamehameha spent his last years in Kona’s now-historic Kailua Village, and after a few days there you’ll understand why. 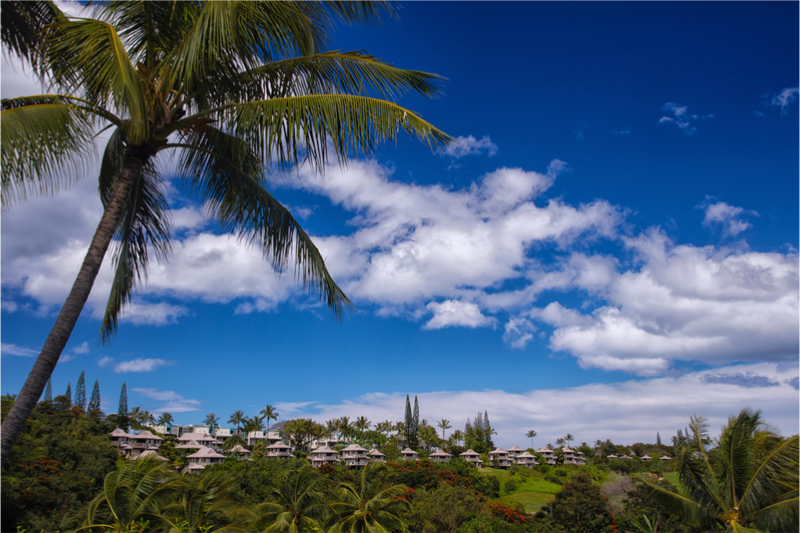 The village is the heart of Kona, and an ideal central location for shopping, exploring, and fine-dining in the region. Everything you could want is surrounding you at Kona Coast Resort, providing a truly decadent experience of the island for those who wish to be well taken care of. But that doesn’t mean there’s any shortage of sights and adventures around. 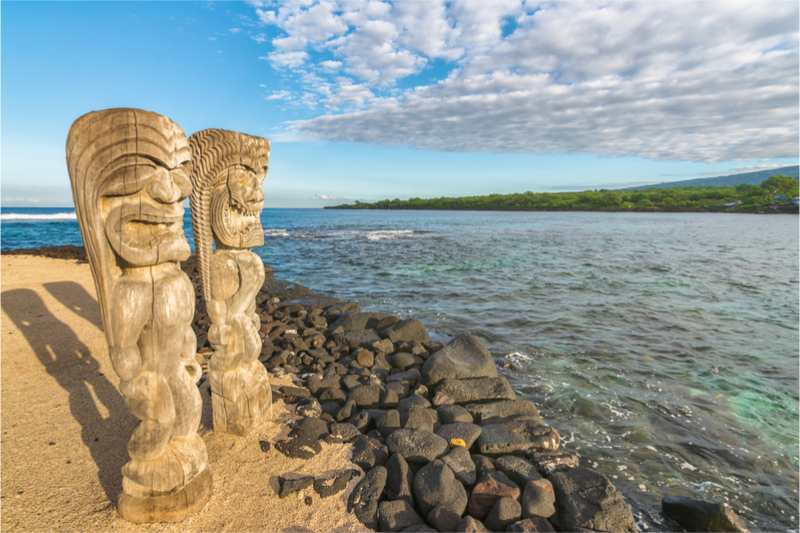 Historic Kealakekua Bay and Puuhonua o Honaunau National Historical Park provide perfect hiking and sightseeing destinations on the island in case you’re looking to venture out. Kahalu’u Beach is nearby, if you’re interested in what’s been judged the best snorkeling site on Hawaii Island, or if you’re just looking to catch a quick tan. The exquisite lava-formed, white sand-covered Makalawena Beach is nearby, as is the breathtaking Kiholo Bay. The Kona coffee plantations offer a chance for visitors to explore and learn about one of the most sought-after coffee varieties on earth, the sweet and delicate Kona bean that is native to the Island. Visitors can tour, test, and sip freshly brewed coffee while learning about the fascinating history and method of Kona coffee production in Hawaii. And once you’ve had your fill of coffee, fill up with some freshly caught fish near the historic Ai’opio fish trap, an early structure made by native Hawaiians to capture their meals. Every experience at Kona comes with the thrill of being close to the lushness of the earth, and the richness of Hawaiian cultural history. From white sand beaches to black lava formations and endless shimmering seas, Hawaii has an endless supply of beauty and wonder to offer its visitors. You’ll discover that variety, excitement, and cultural engagement won’t be hard to find at any of these deluxe Royal Holiday resort locations. You’ll be taken care of, exposed to some of the best sights, sounds, and tastes the Hawaiian Islands have to offer, and given the chance to entrust your hard-earned vacation to a group of professionals who enjoy putting you first. Plan your trip to the beautiful Hawaiian Islands today. For a list of other great summer vacation ideas read this. Nice article for USA trip.